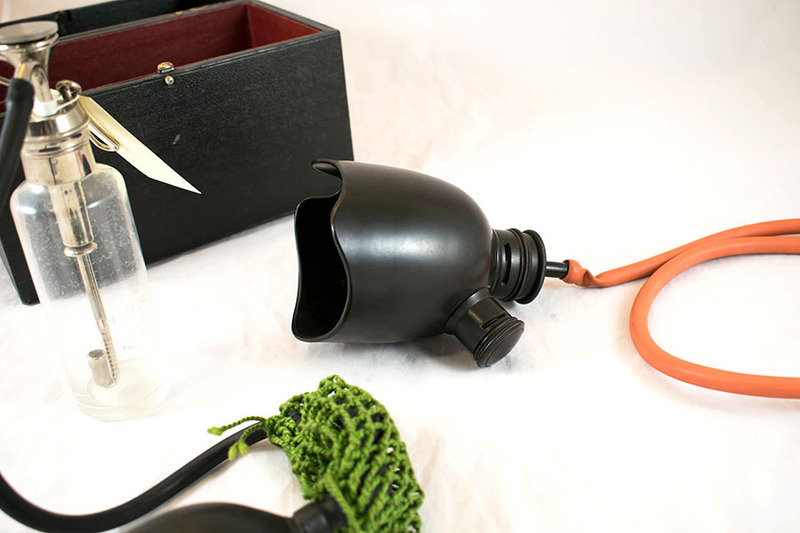 Junker's chloroform inhaler, in leatherette-covered box, c 1930s. 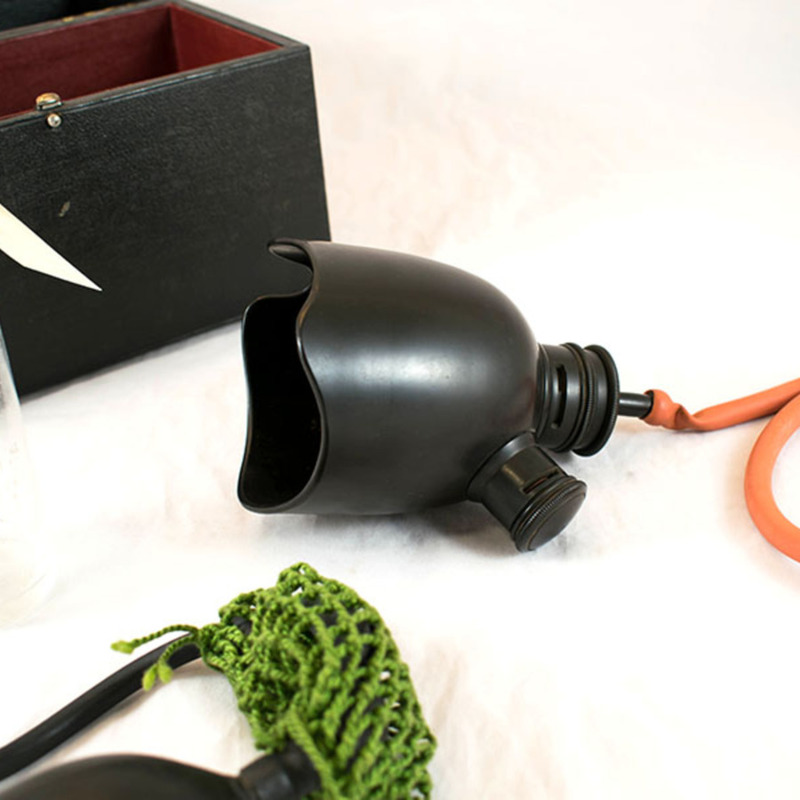 Pictured here is an example of Junker's Chloroform Inhaler. Chloroform was introduced as a form of general anaesthesia by Sir James Young Simpson of Edinburgh during the 1840s and continued to be used until around the 1930s. Chloroform would be placed in the glass vial and inhaled by the patient via the face mask, putting them under sedation for an operation. Glass, metal, rubber, and wood. F.E. 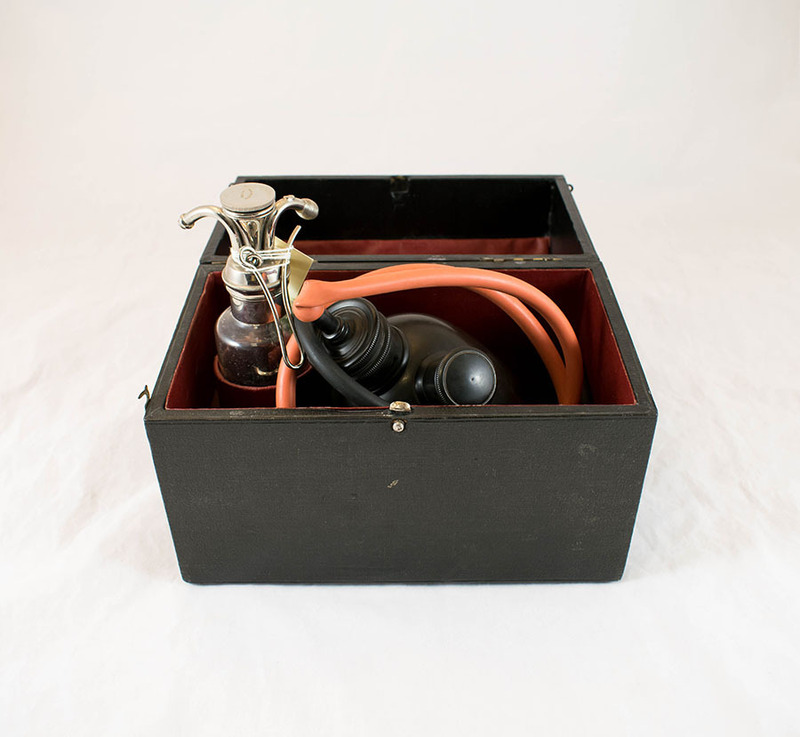 Junker, “Junker's Chloroform Inhaler,” Heritage, accessed April 20, 2019, https://heritage.rcpsg.ac.uk/items/show/85. 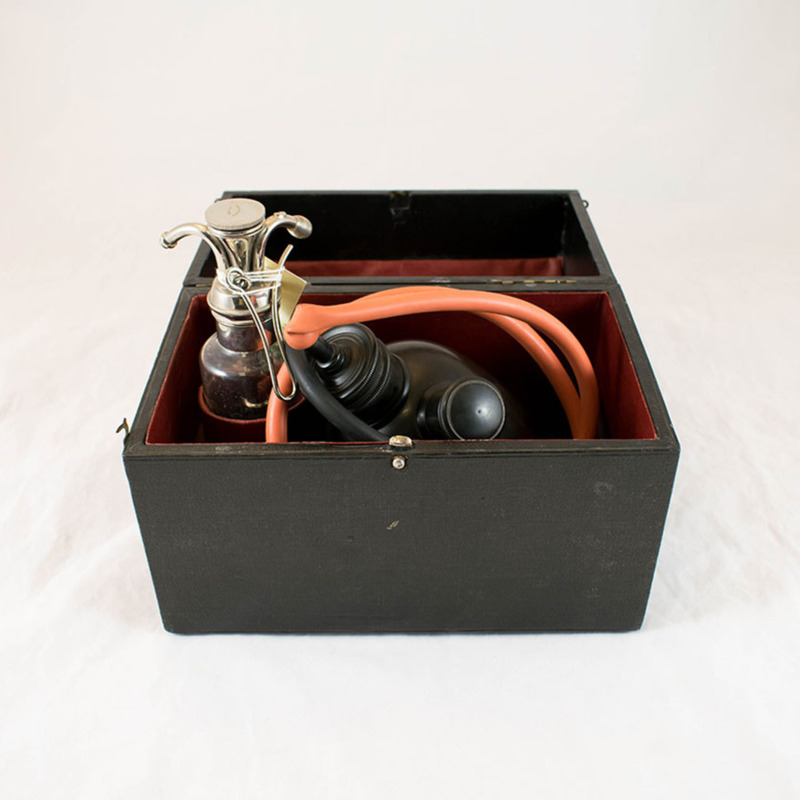 Description: Junker's chloroform inhaler, in leatherette-covered box, c 1930s. 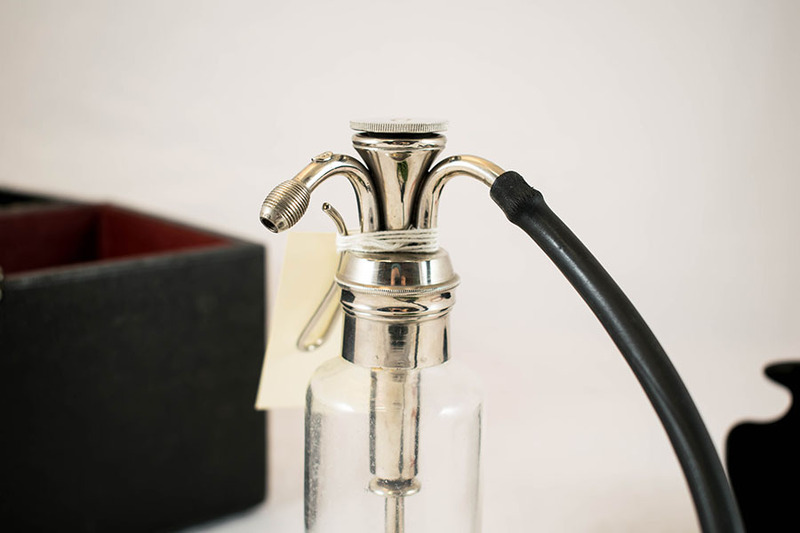 Pictured here is an example of Junker's Chloroform Inhaler. 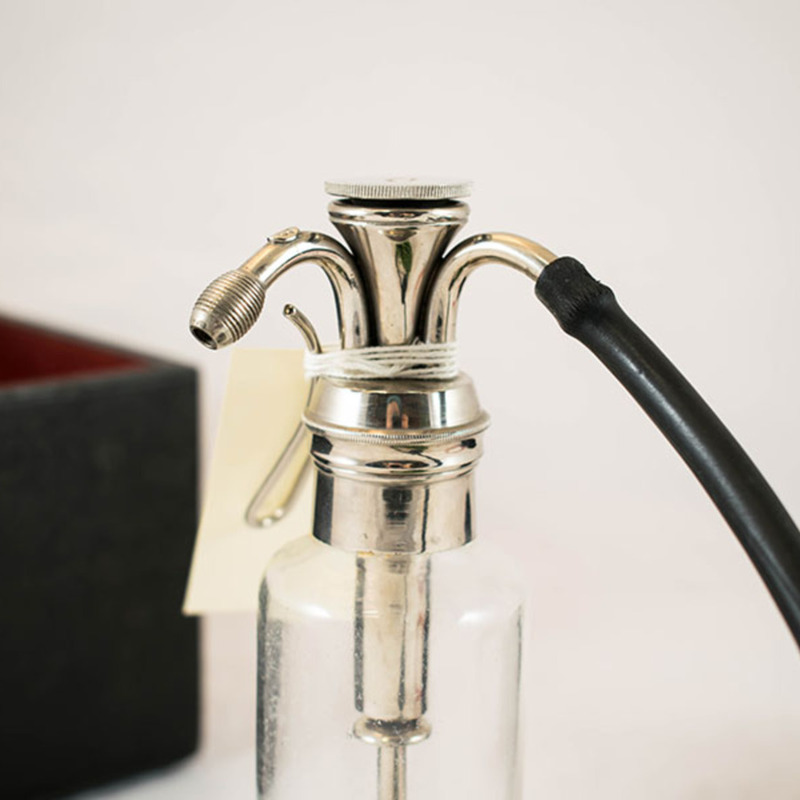 Chloroform was introduced as a form of general anaesthesia by Sir James Young Simpson of Edinburgh during the 1840s and continued to be used until around the 1930s. Chloroform would be placed in the glass vial and inhaled by the patient via the face mask, putting them under sedation for an operation.